Reef Angel Controller • View topic - Icecap Reef-Cam - Have you heard of it? Icecap Reef-Cam - Have you heard of it? 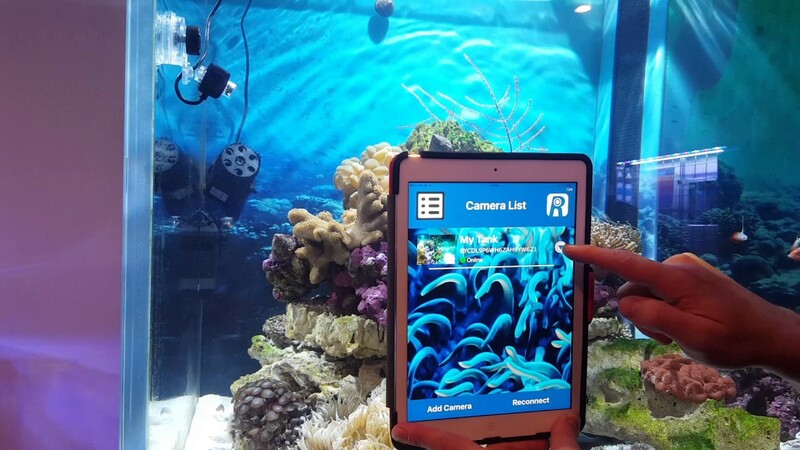 Does anyone have any experience with Icecap Reef-Cam submersible wifi camera? Looking forward to buying an aquarium camera. Any thoughts and/or recommedations? I have one. I only have it on wifi (not wired) and it does ok. It doesn't do full HD video without lag for me. I am pretty sure that you need to hardwire it for full 30fps HD video. The app makes it really easy to configure and view away from home. I didn't have to configure anything on my router for me to use it outside of my network. I think you may be forced to use their app to view it but I cannot confirm it because I have not tried. I don't have mine inside my tank due to the short cables it comes with and not having a good place to mount it and plug it in. I think it's a nice little camera that can be used underwater. it's a little pricey in my book but if you want an underwater camera that is easy to configure, it's not too bad. There are lots of better options available (and cheaper) if you are wanting a camera pointed at the tank (not in it). Tks for sharing. I haven't decided yet if I go with a "in tank" camera or a normal one. One pre-req is to be able to use its streaming without proprietary app. The idea is to create a tab on the RA Uapp to the video. I just bought RA*, and I intend to use it with network cable... just have to pass it through the wall. So, would try to attach a Hub (or a router) on the end and connect both RA* and the camera on it. About the price... it is something to be considered indeed... yet more after currency exchange rate. If I choose a regular one, probably will get a PTZ camera. Any suggestions on that? Is it better to use with a "fisheye" len?